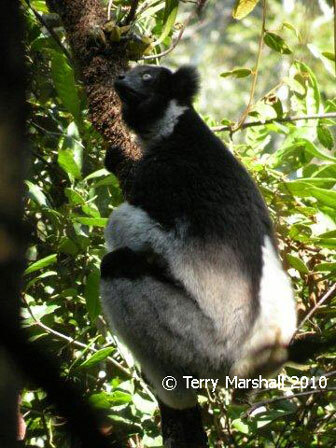 Andasiba, Mantadia and Perinet National Parks lie east of the capital Antananarivo in the upland rainforest and are home to the indri indri, the largest of the Madagascan lemurs, whose piercing and melancholy voice can be heard throughout the forest. There are eight other species of lemur present, including the black and white ruffled lemur, as well as chameleons, Diademed sifaka and numerous bird species. Walks through the forest will allow you to get close to some of these creatures, while night walks enable encounters with nocturnal species of lemur. Ranomafana National Park, south-east of Ambositra, is home to 12 species of lemur, including the Red-Bellied lemur, Grey Gentle lemur, Milne-Edwards� sifaka, Black and White Ruffed lemur and the extremely rare Golden Bamboo lemur, a species first discovered in the park in 1987. 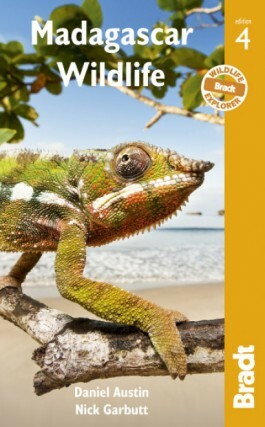 In addition, the park is also home to the Malagasy boa constrictor as well as numerous species of chameleon and birds. Andringitra National Park is located near the town of Ambalavao and was set up in 1999. One of the most beautiful parks in Madagascar, Andringitra comprises low altitude rain forest, the granite peaks of the Andringitra mountain range, deep valleys and spectacular waterfalls such as Riandahy and Raimbavy. The park is an excellent trekking destination, both for wildlife walks through the forest and mountain trekking to the summit of Mount Imarivolanitra (Pic Boby), at 2658m the highest point in the south of Madagascar. 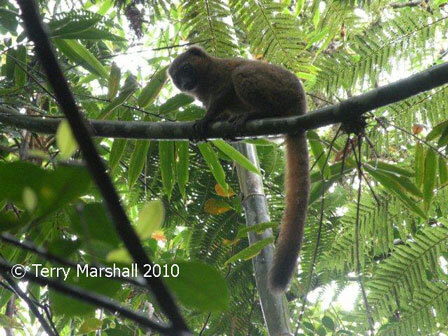 There is a wide variety of wildlife in the park, including many species of birds, frogs and lemurs. The Anja Reserve is a community-based project that is home to about 650 wild and semi-tamed ring tailed lemurs that was set up in 1999. 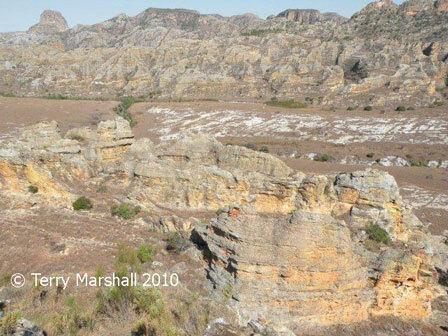 Isalo National Park in the south of Madagascar is a spectacular mountainous region where natural erosion of the sandstone rock has created a dramatic landscape of canyons, gorges and rock towers. Covering over 800 km², the park makes for excellent trekking through the beautiful scenery as well as having opportunities for wildlife spotting. The magnificent Canyon des Makis is home to ring-tailed lemurs and Verreaux's sifakas and the park also comprises numerous snakes, lizards, chameleons and birds. Another highlight of the park is the natural oasis of the Piscine Naturelle, ideal for a swim amidst the arid landscape. 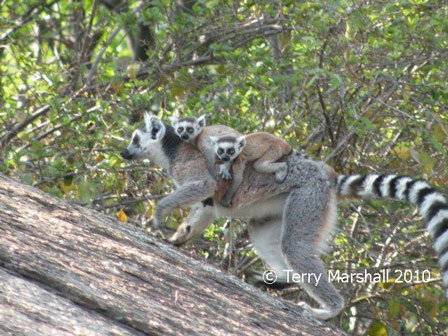 Organised group tours: Click here to see 8 tours to Madagascar which may include Lemur spotting in Madagascar.